How can Iogout of Time Clock? To log out of RosterElf's Time Clock, click the RosterElf icon on the top left of screen. Only managers can log a tablet out of RosterElf's Time Clock. This is to avoid employees accidentally logging out. 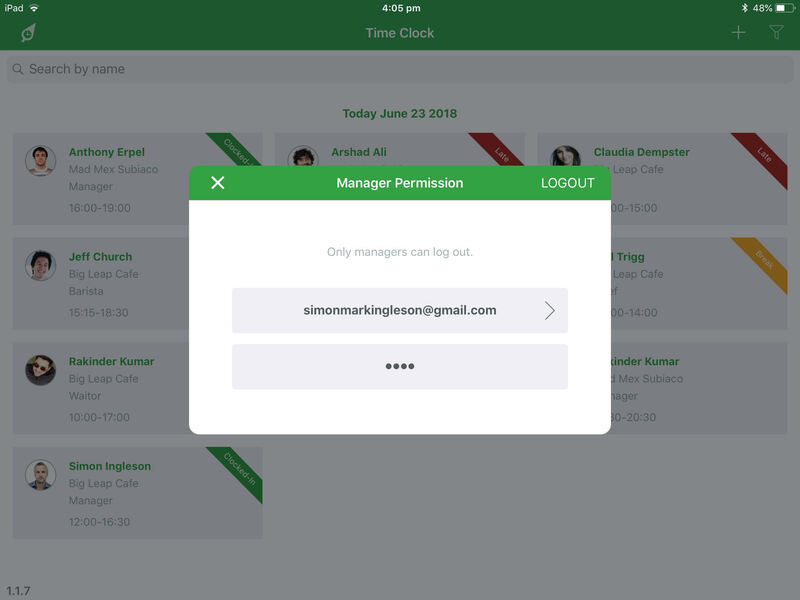 Select your name from a list of managers, then enter your RosterElf Password and click "LOGOUT". The app will logout and return to the main tablet screen.